All Stevie Nicks items listed below are authentic and very limited. We do not carry multiple items. All prices and availability are subject to change. All prices include shipping and handling for all USA customers. All other destinations will require actual shipping cost to complete transaction. Have a question? Ask us before purchasing the item. Thank You. 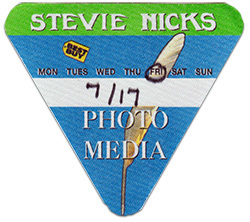 Description: 1998 Stevie Nicks Enchanted Tour photo Pass. Description: Stevie Nicks The Wild Heart Promo Album Flat. Size 12x12. Item in VG condition, minor wear. Description: Stevie Nicks Bella Donna Promo Album Flat. Size 12x12. Item in VG condition, minor wear. 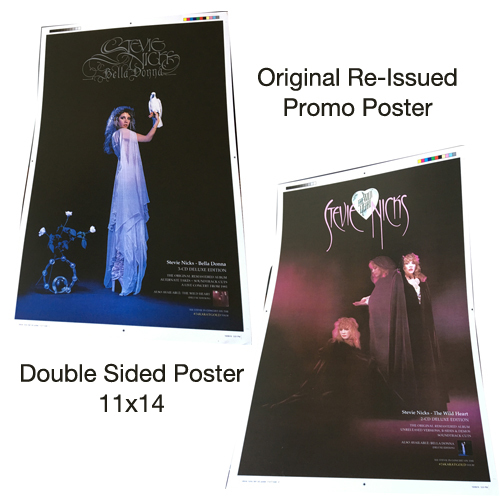 Description: Stevie Nicks Bella Donna/ The Wild Heart Double Sided Re-issued Promo Poster. Size 11x17. Item in mint condition. 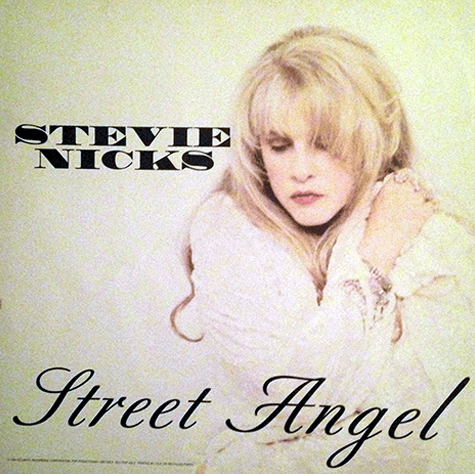 Description: Stevie Nicks Street Angel Promo Album Flat. Size 12x12. Item in VG condition. Description: Stevie Nicks 2001 Original Concert Poster. Size 18x24. Item in mint condition.